Back in late 2016, you may have heard of ‘Brexit’: a combination of “British” and “Exit,” which was used for the United Kingdom leaving the European Union. The European Union is a group of 28 countries that trade with each other and allow their populations to easily travel and work between each country. In 1973, the UK joined the European Union, which was then known as the EEC, or European Economic Community. England, Scotland, Wales, and Northern Ireland make up what is the United Kingdom. To clarify, Northern Ireland is not Ireland. Ireland is next to Great Britain, which is made up of England, Scotland, and Wales and Ireland consists of Northern Ireland and the Republic of Ireland. If you are unaware, there have been many conflicts between the Republic of Ireland and Northern Ireland, which are called The Troubles. The impact Brexit will have may be massive and will have even larger implications. To leave, the United Kingdom will have to pay the European Union 39 billion pounds (~$51.4bn). Another looming issue is that between Northern Ireland and the Republic of Ireland, there will be a “hard” border, meaning stricter immigration and trade laws between the countries, as Northern Ireland belongs to the UK. Not only will there stricter laws, but the possibility of a physical border between the two Irish countries. Brexit was initiated by the then-Prime Minister, David Cameron, who called for a referendum on whether or not the public wanted to leave the European Union. Back in 2012, Cameron had refused a referendum on the UK’s EU membership, but then proposed a referendum for the future to negotiate the UK’s membership. Cameron was pressured to hold an “in-out referendum” where citizens would vote to remain in (“in”) or leave (“out”) the European Union. Much of this pressure came from the rise of the UK Independence Party, also known as UKIP, which was led by Nigel Farage. A number of its members are known for their racist and hard right-wing views, such as 2016 candidate for Parliament, Robert Blay, who was caught insulting a rival who was of Sri Lankan descent. Blay was caught saying “His family has only been here since the seventies. You are not British enough to be in our parliament.” Other members have shared this racism, even party leader, Nigel Farage, who did not condemn what certain members have said. UKIP is known for their anti-immigration beliefs, and also strongly believes that Brexit will be beneficial, allowing stricter immigration laws. While stricter immigration laws may seem beneficial, if the UK wants to continue to have a good trade deal with the EU, they will have to abide by the Union’s rules and regulations, remaining an EU member. David Cameron as a member of the Conservative party, hoping to hold the referendum before the end of 2017, supported remaining in the EU, only if the Union was reformed and if he won the general election in mid-2015. The European Referendum Act of 2015 was introduced into Parliament after the Conservative party won the election, enabling the referendum to occur. Cameron planned to renegotiate four main ideas: protection of the single market for non-eurozone countries, reduction of “red tape”, exempting Britain from “ever-closer union”, and restricting EU immigration. The Single Market is the market that allows free trade and transport of goods and resources throughout the European Union, and eurozone countries are European countries that use the Euro as their official currency (The UK uses the British Pound). Red Tape is the idea of massive regulation, preventing governments from making decisions. The “ever closer union” means that Europe could become more powerful, a more federal, “superstate,” if you will. On February 22, 2016, Cameron made a speech to the House of Commons, a chamber in the UK Parliament, next to the House of Lords. A referendum date was decided of June 23, 2016, and following the vote to leave the European Union, Cameron immediately commenced processes of Article 50, the plan to leave the EU, plus a two-year time period to negotiate plans for Brexit. The vote to stay was defeated 48%-52% in the referendum. As a result of the referendum, David Cameron resigned, leaving Article 50 to be arranged by the next Prime Minister. Incoming Prime Minister Theresa May wrote a letter to European Council President Donald Tusk in March of 2017, invoking Article 50. Article 50 has been debated if it can be reversed, as the European Court of Justice ruled that a country could exercise a right to cancel its withdrawal from the Union without needing approval from other countries, only if a notice was sent out, and that the country would cancel the withdrawal “unconditionally and in good faith.” Although the UK Parliament could have canceled it, they had no interest in using their right to cancel the leave. The European Withdrawal Act 2018, has set the leave time to be March 29, 2018, at 11:00 PM (23:00) GMT (UTC+0). On December 29, 2018, a “no-deal” Contingency Action Plan was announced by the EU Commission, as the UK had only 100 days to get a Brexit deal passed. Throughout Theresa May’s time as PM, she has twice failed to get a deal passed for Brexit. Although the UK and the EU have agreed on the deal, Members of Parliament (MPs) are still mandated to pass it. On January 15, 2019, the deal was defeated 432 to 202 votes in Parliament. On March 12, Theresa May amended the deal, to which it was rejected again. One of the main reasons that MPs oppose the deal is that there is disagreement on what should happen on the Irish border. Included in the deal is a backstop, which is a “safety net,” which avoids the need for guard posts and border checks between Northern Ireland and the Republic of Ireland. The backstop essentially keeps the border between the two open. By this, Northern Ireland would remain a part of the UK, but would still follow certain EU regulations. Many MPs argue that Northern Ireland should not be treated separately from the UK and not as its own nation. A third vote is unlikely, as the date to leave is still close, and even Commons Speaker John Bercow said he would not allow a third vote on “substantially the same” motion. Theresa May wants to postpone Brexit, but a request for postponement will require an agreement by all 27 EU members. Theresa May has only a few options left. She can either request for a longer extension for Brexit, or a short extension until June 30th, but if all EU members deny her request, then May will have one last chance to pass her Brexit deal to Parliament. If the MPs back her deal, then May can ask for a short extension, giving the MPs one final chance to pass her deal. 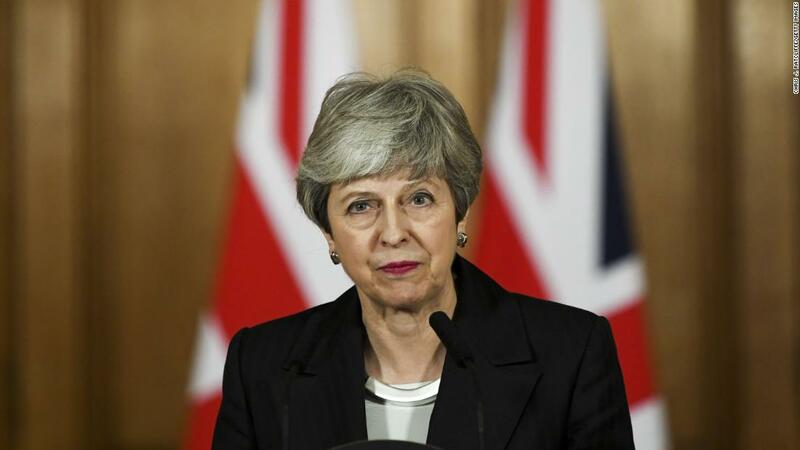 If they reject her deal either time, on March 29, 2019, at 11:00 PM UK time, they will leave the European Union without a deal, known simply as “No-deal Brexit.” Similarly, if her request for the June 30 extension is approved, Parliament will still get one last chance to pass May’s deal, but only until the June 30th extension, instead of March 29th. For the longer extension, which has no decided date if approved, Parliament can get another chance to finally back the deal or can consider its options. Parliament’s options to consider are No deal, Renegotiation, another Referendum, another Election, no Brexit, or a “vote of no confidence.” In the UK, the Labour Party is the second major party leading politics, opposite the Conservatives (“Tories”), led by Jeremy Corbyn. Corbyn made a motion of the words, “That this House has no confidence in Her Majesty’s Government,” meaning that Parliament has the power to trigger a general election because of the lack of trust and confidence in Prime Minister Theresa May. House of Commons members will have the option to vote on Theresa May’s government if they so choose. For the MPs to vote on her deal, House Speaker John Bercow has said that May must make substantial changes for a third vote. So, could Brexit not occur at all? The answer to that question is yes and no. United Kingdom Prime Minister can renegotiate for an extension for the deal and the 2016 referendum was irreversible but it is still written into law that the United Kingdom will leave the European Union on March 29, 2019, at 11:00 PM UK time.